A power of attorney may be used when it becomes apparent that a person may not be able to make their own decisions. A person who has been granted power of attorney for another person can makes decisions on financial affairs, or on matters of healthcare. If a person becomes aware that they will no longer be able to make their own decisions due to incapacity then they will need to choose someone to make decisions on their behalf. This decision making power will be given in the form of a legal document called a power of attorney. One of the main reasons that a power of attorney may be granted will usually be mental illness on the part of the principal person. In other cases a power of attorney can be granted if the principal is not able to appear in person to sign documents or make financial decisions. The power of attorney can either be a general power covering many decisions or specific covering one single decision. In many cases a power of attorney will be granted to a trusted family member or a reputable professional person. In many cases the power of attorney can be a valued friend. Trust and honesty are the key factors when granting power of attorney to a person, usually known as an agent or attorney. This person will have the ultimate power to decide how the principal’s money is distributed and will make decisions on how the principal’s estate is to be managed. A power of attorney also grants the entrusted person with the power to make decisions on the principal’s healthcare. This can include making decisions on whether to refuse or consent to medical treatment and can also include decisions on where the principal lives. Attorneys appointed to make decisions if the principal is incapable through mental illness have lasting power of attorney (LPA). A power of attorney is a legal document that can be granted to more than one person by the principal and must be registered with the Office of Public Guardian before it is legally recognised. This power to make decisions can be broken down into two parts. An attorney can be made for someone to make decisions on financial affairs, and another can be made attorney of healthcare. One of the reasons that people appoint more than one attorney is to make sure that the responsibility of making decisions on behalf of the principal is not abused by the attorney. A power of attorney can be cancelled with a deed of revocation. If the attorney was granted “ordinary power of attorney” that is set for a period of time then this power can be cancelled at any time after the power was granted. The ordinary power of attorney will either end when the set time period expires, at the request of the principal or by the principal using a deed of revocation. If the principal becomes mentally incapacitated during the ordinary power of attorney time limit then the power will be automatically revoked. A lasting power of attorney, that is an attorney that has been appointed to make decisions due to impending mental illness, can only be terminated while the principal still has the mental capacity to do so. If a deed of revocation is to be used then notification must be sent to each attorney. 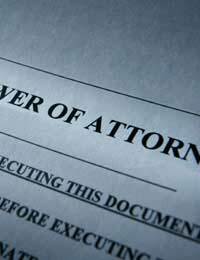 Power of attorney will not cease to exist unless the attorney has been notified of the deed of revocation. A power of attorney is an important legal document granting serious decision making powers to another person. Choosing the right attorney or attorneys is vital to ensure that the right decisions are to be made on behalf of the principal. Expert legal advice should always be taken when considering using a power of attorney.